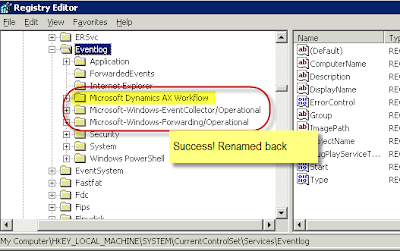 An error occurred during setup of Workflow. 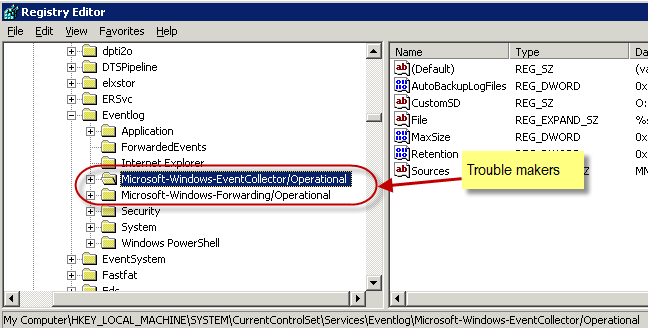 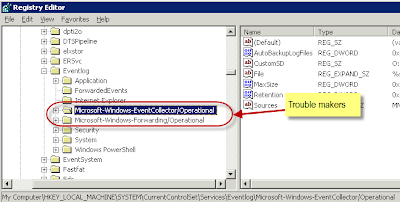 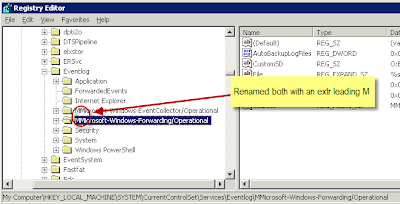 name of existing log: 'Microsoft-Windows-EventCollector/Operational'. Workflow was left in a partially installed state. 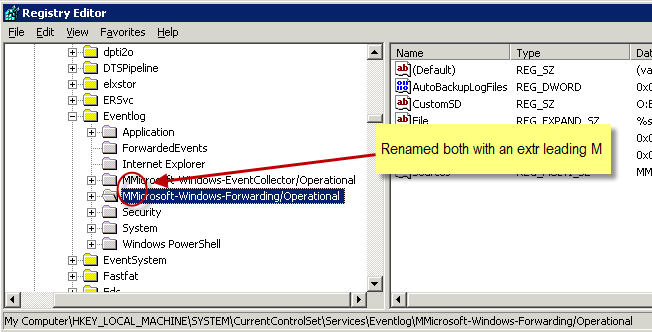 Odd because the first 8 characters of the log name are in the word Microsoft and there are already two other event logs starting with the name Microsoft.